MYRTLE BEACH, S.C. (August 30, 2018) - The Myrtle Beach Pelicans fell 2-1 in Thursday night's home finale to the Buies Creek Astros in front of 5,066 fans from TicketReturn.Com Field at Pelicans Ballpark. After Pelicans (60-76, 26-40) starter Cory Abbott threw five shutout innings against the Astros (77-56, 40-24) in a no-decision, Buies Creek found the scoreboard in the top of the sixth. Carlos Canelon knocked in the game's first run with an RBI single. The Birds tied the game up in the bottom of the seventh. Jared Young tripled to begin the inning and then scored on a wild pitch. 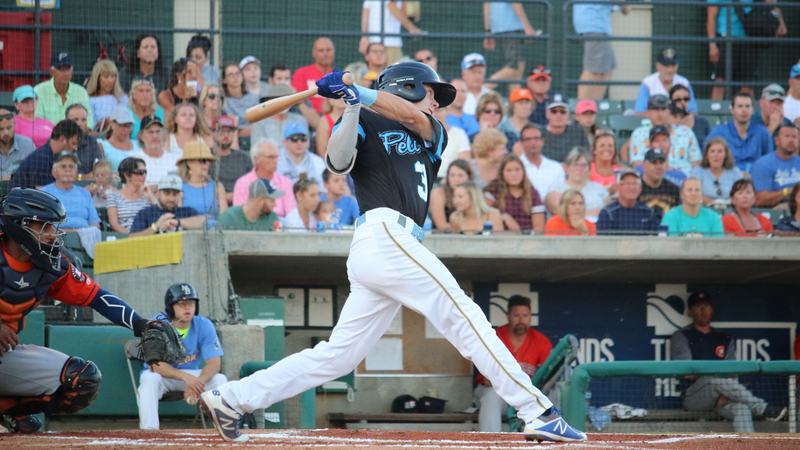 Yapson Gomez (1-1) took over for the Pelicans in the top of the eighth, but allowed a go-ahead RBI single by Cody Bohanek to give the Astros their 2-1 lead. Gabriel Valdez (7-5) nabbed the win for Buies Creek, going 1.2 innings out of the bullpen. The Pelicans head north to Frederick next to take on the Keys in a season-ending, four-game set, starting with a 7 p.m. game on Friday. Myrtle Beach will send LHP Bryan Hudson (6-11, 4.92 ERA) to the mound against Frederick RHP Cody Sedlock (0-2, 10.05 ERA). Coverage starts at 6:45 p.m. on MyrtleBeachPelicans.com/Broadcast, the MiLB First Pitch app and TuneIn.